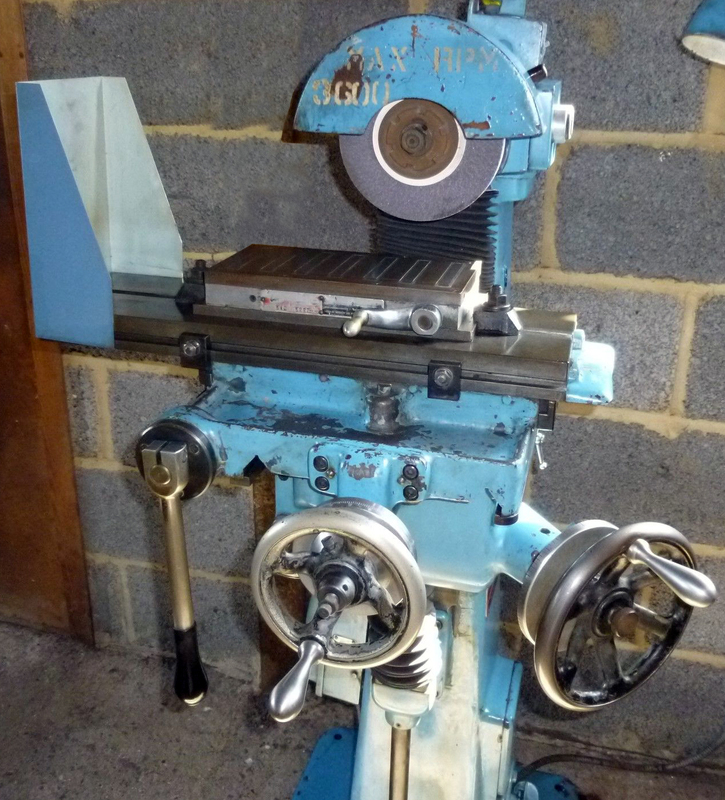 Less well known that the similar hand-operated Eagle, Capco and Superior machines, the Herbert "Junior" surface grinder first appeared during the 1930s (presumably to replace or complement the much smaller and rather old-fashioned "Ball-bearing Bench Surface and Die" machine) and continued to be listed (if not actually available) until the mid 1970s. 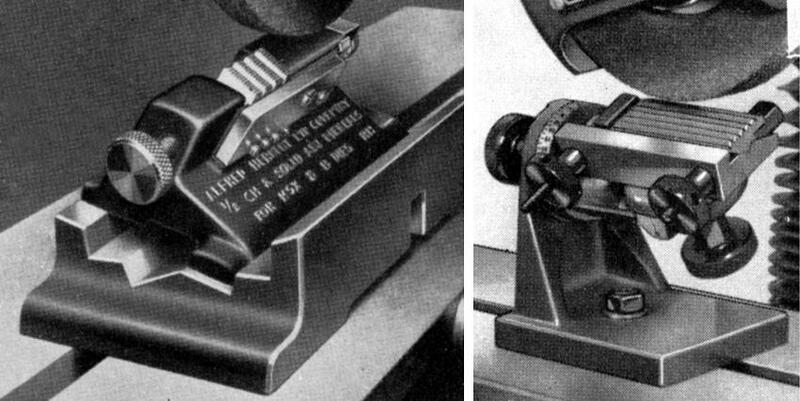 Built in early and late versions, both had the same capacity: a table 21" x 6" (533 x 152 mm) with a single central 7/16" T-slot, a maximum longitudinal travel of 10 inches (through at one setting only 8 inches could be used) and a cross travel of 4 inches. 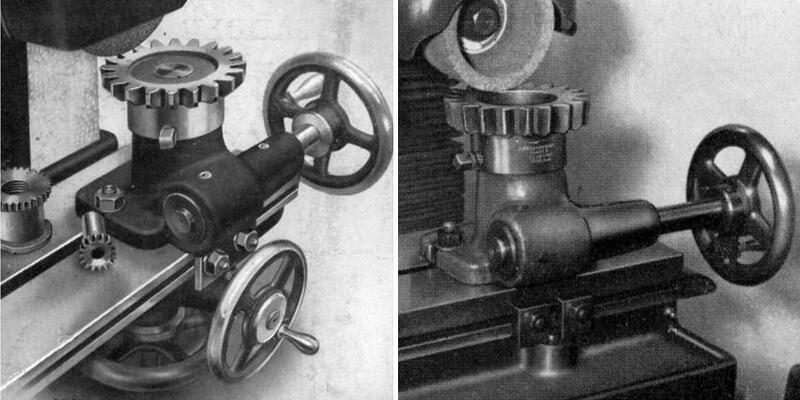 Longitudinal feed was by rack-and-pinion gearing, the operating lever being adjustable on its ball-bearing-supported shaft with the mechanism sealed against the ingress of grinding dust, as was the cross-feed screw. 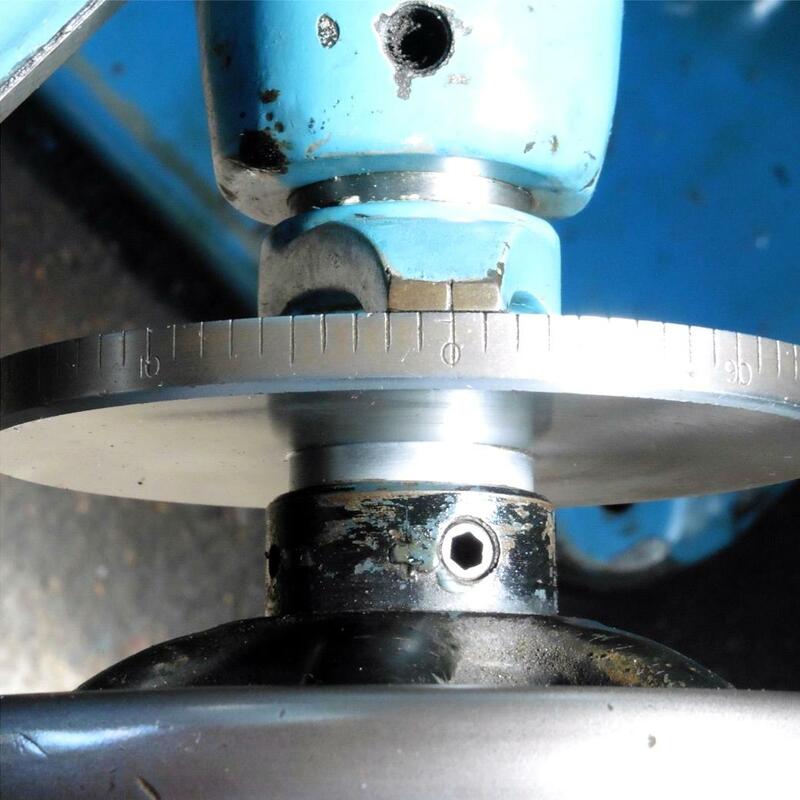 The maximum distance from the underside of a 6-inch diameter grinding wheel was 9 inches and the vertical travel of the knee 9.5" (241 mm). Mounted on two V-way guides, the saddle was moved inwards and outwards by a large full-circle handwheel equipped with a large-diameter, adjustable micrometer dial. 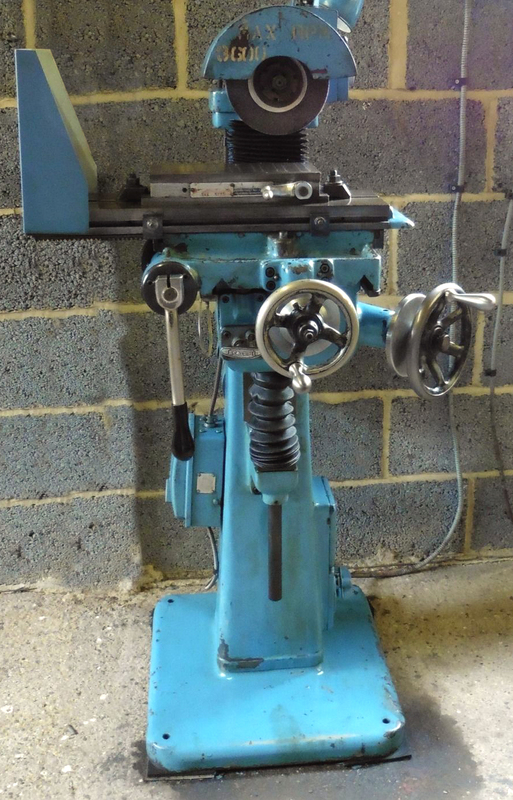 The knee assembly was elevated on a pair of V-ways machined into the vertical front surface of the main column, movement being controlled by hand-wheel working through bevel gears and a screw. 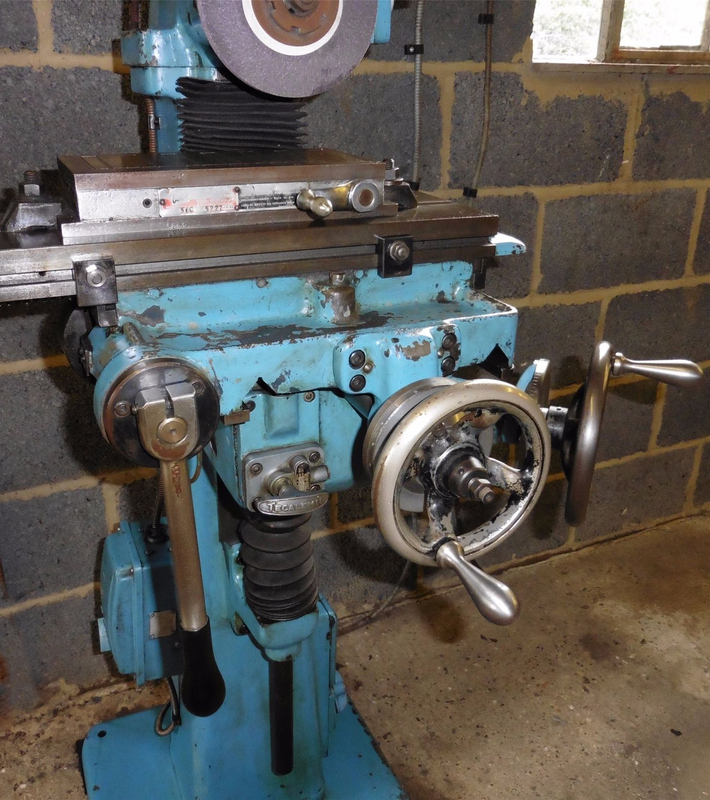 A very large zeroing micrometer dial was fitted to the wheel to gauge the very important vertical movement. 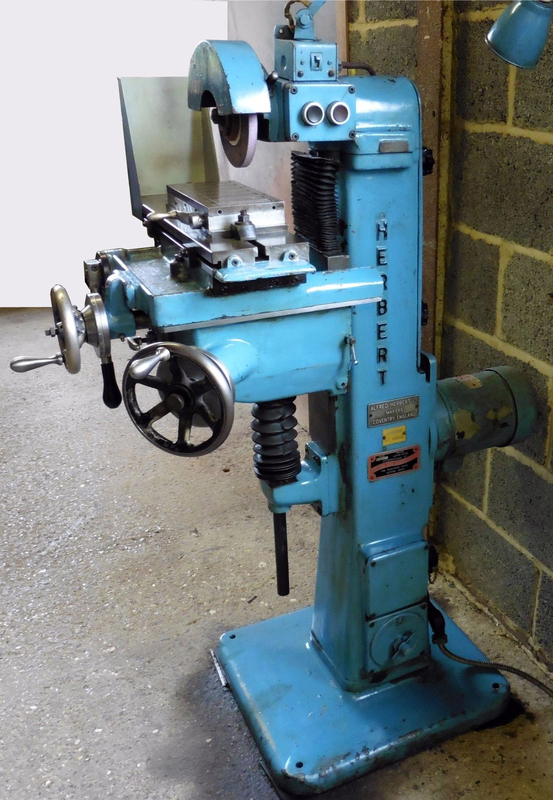 The only noticeable difference between early and late machines was the mass of the knee, the newer model having a much more substantial casting that held a supply of oil and a hand-operated, single-shot "Tecalemit" plunger pump. 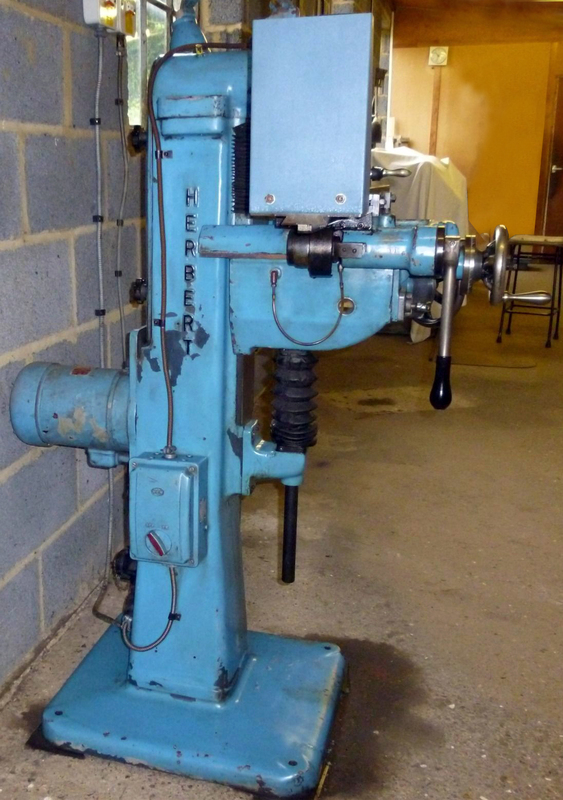 If the operator could be relied upon to use it, the pump directed lubricant automatically to all sliding and rotating surfaces of the table, saddle and knee. Intended to carry a wheel up to 6 inches in diameter by 0.75 inches wide, the spindle ran in grease-lubricated, matched-pair, precision ball races. 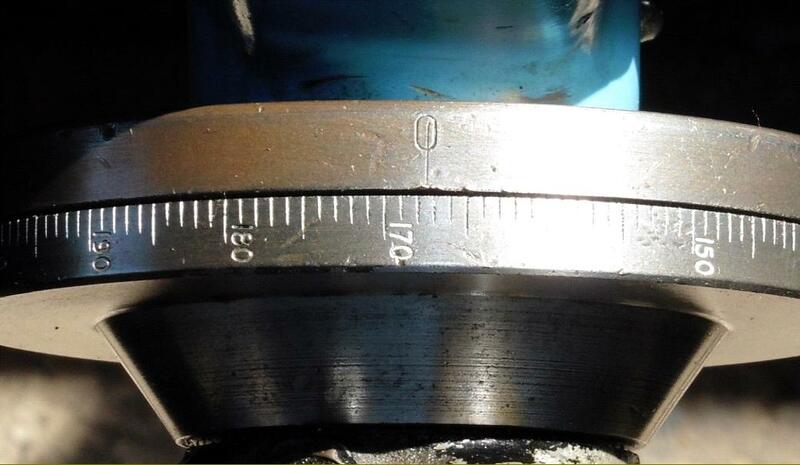 Flange mounted against the machine's rear face and adjustable vertically to tension the belt, the 0.5 h.p., 2800 r.p.m. 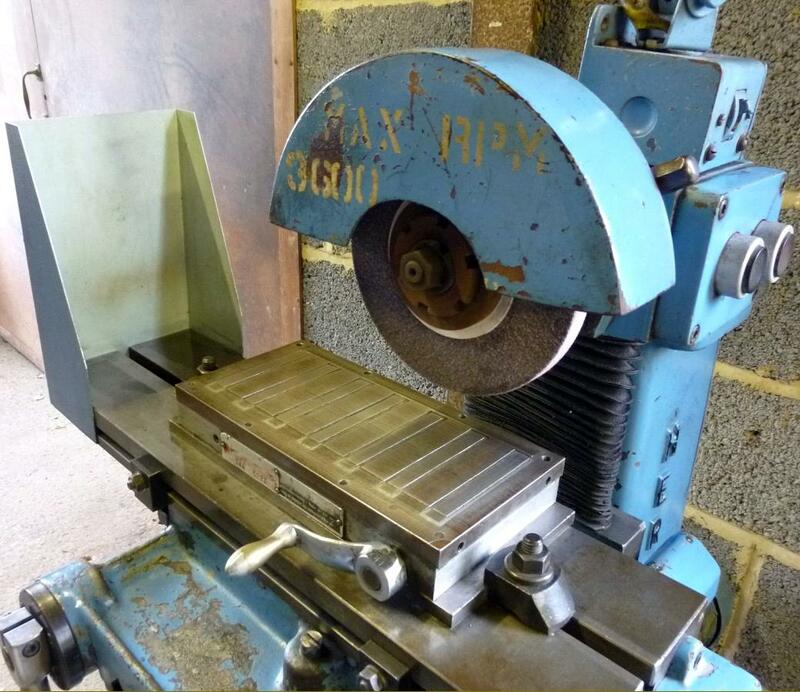 motor drove the spindle by means of an endless flat belt - the maximum recommended wheel speed being 3600 r.p.m. Electrical controls were all built in: the isolator switch was low down on the right-hand face of the column, push-buttons for stop and start carried on the right-hand side of the head and no-volt safety release and overload protection included. 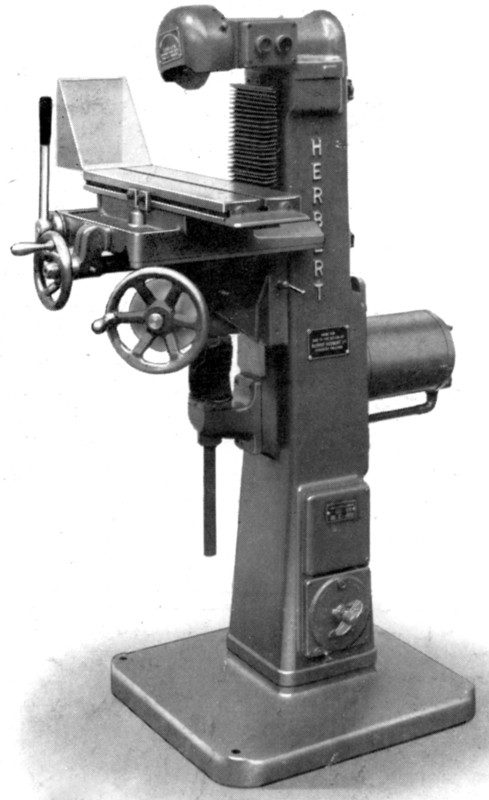 A useful range of of accessories was offered including a non-electric magnetic chuck by the Sheffield firm of Eclipse; a Low-Vo light unit; jig blocks for the grinding of Herbert "Chipstrean" box tools and Coventry dies; a radial truing device; a universal vice with dovetails and one plain jaw; a Universal Fixture for grinding tangential chasers; an attachment for the grinding of Fellows' gear shaper cutters; a "radial truing" device that allowed a diamond truing tool to be swivelled and a Herbert No. 1 "Tapconer" for the accurate grinding of the taper lead of taps. 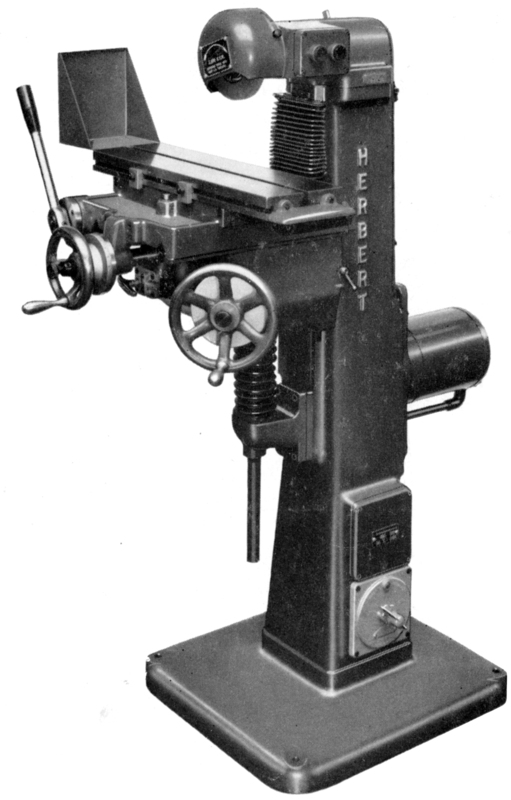 The Herbert Junior surface grinder occupied a floor space of 3 feet 3 inches by 2 feet 8 inches (991 x 813 mm) and weighed approximated 500 lbs (228 kg).